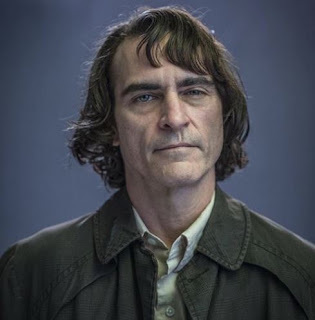 Over the weekend, Warner Brothers dropped a picture of Joaquin Phoenix in the upcoming "Joker" movie they are planning. The movie that is going to be independent of the other DCEU works (even though Jared Leto is still signed on with the DCEU and has upcoming appearances coming too). The thing that is weird is that its just a picture of Phoenix. He's not in any make-up. Obviously, its a picture of Pre-Joker Joker. But that's just a picture of Joaquin Phoenix. If there is any movie that has a big question mark over it for me, its this Joker origin movie. I honestly don't see the point of doing it if it doesn't connect to the grander story DC and WB is telling. I also just don't see how people are supposed to get excited for the most popular supervillain of all time by simply releasing a picture of Joaquin Phoenix with no make up. I know they've got the legendary Martin Scorsese producing this. I know Todd "The Hangover" Phillips is directing. I know Robert De Niro and Zazie Beetz (Domino from Deadpool 2) and Brett Cullen are co-starring (Alec Baldwin dropped out as Thomas Wayne and was replaced by Cullen, who played a senator in The Dark Knight Rises.) So yes, there are some popular and great people in the mix for this. I just don't get why its being made, other than the fact to just cash grab off of Joker's name. There has been some controversy over at Sony, because they are making independent movies based on Spider-Man villains. "Venom" could end up being popular because he eventually became an anti-hero with his own line of comics. But I don't see the appeal of making stand-alone movies based on C-list Spider-Man villains if Spider-Man himself won't make an appearance. These movies won't be connected to Holland's Spider-Man nor the greater MCU. So what's the appeal? I wonder if there will be greater appeal with this stand-alone Joker movie, since the character is much more popular. But do we need a Joker movie without Batman? Do we need a Joker origin, period? The best part about the character has always been his mysterious background. A villain who simply came out of nowhere and began acting out for no apparent reason. Even Joker's greatest comic book "origin" story, the story Heath Ledger read to prepare for "The Dark Knight," ended up not being a concrete origin by the end. Joker's mystique has always been apart of his character, so why explain him? I guess at this point I really need a trailer. I'm a huge Batman fan. The Joker can be an engaging, magnetic, haunting character when done right onscreen. But they are advertising this as a movie where Joker rises to crime. So it'll be "Goodfellas" with clown make-up? I'm not sure how appealing that is to me, no matter how much I like the source material. First Look at Marvel's "Captain Marvel"